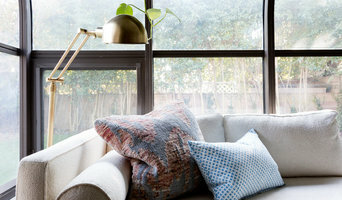 Greater LA's Interior Designer & Project Manager Best of Houzz Winner! $1,000 Off Custom Kitchen Cabinets! 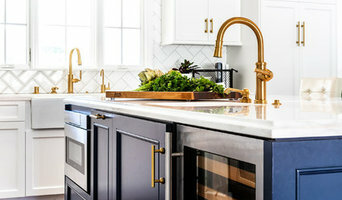 West Hollywood Kitchen & Bath Design Specialist - Best of Houzz! New Generation Home Improvements was founded on the idea that exceptional renovation and design doesn't need to be an outrageous cost to both the owner(s) and the earth. At the core of the company is the pride in work, the dedication to design, and commitment to clients complete satisfaction. New Generation's founder, Mario Arechiga, has been in construction for over 10 years. He is an expert in Electrical Trade and has a degree in Construction Engineering Management. He's also earned several degrees of construction, which are necessary to have in order to execute a full-scale renovation project. Marisela Arechiga has over 10 years experience in Client Management and Relations. The execution of this team is focused on delivering the project with impeccable expertise and exceeding the expectations of the client. New Generation is family-owned, woman operated, and has the technical and theoretical experience to bring all projects to life. The team loves what they do, and their work and dedication to their clients proves it! A cabinet supplier that works with contractors,architects,designers, and home owners. Providing modular and custom cabinets in different price ranges and styles. Your new kitchen can be anything that you want it to be modern, traditional, bright, dark, loaded with features or streamlined it is all up to you. Because a kitchen is a place where you spend a lot of time, its layout and style need to work for you and your family for a long time to come. So, you'll want the professionals at The Kitchen Warehouse where every home deserves a custom kitchen design. We have successfully remodeled thousands of kitchens in the greater Los Angeles area for over 35 years. Not only will you love your new kitchen, but you will also have an opportunity to design it in a way that fits your family's lifestyle, as opposed to living with a kitchen that fit the family before you. Korean speaking designers available in our showroom! 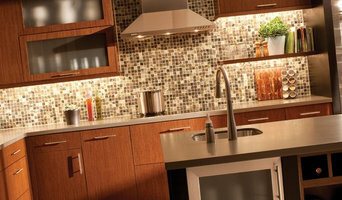 MTD Kitchen is the #1 top rated kitchen specialists in Southern California. MTD has established a solid line of products and services that allow homeowners to find their voice and let their vision become a reality. When you come to the MTD showroom, one of our experienced designers will walk you through the process. With over 70 different colors and designs, our designers can help you create a computer generated 3D model of your dream kitchen; allowing you to see every drawer, cabinet and countertop in a full three dimensional image in color! We offer solid building materials that are backed by our service guarantee and facilitated by a stellar staff. Our designers are experienced, our millhouse associates are on point and best of all our prices can't be beat! We invite you to visit our showroom at North Hollywood, CA to see our amazing selection of building materials first hand. We own and operate our own millhouse so we are able to provide factory direct pricing without sacrificing quality. You have nothing to lose and everything to gain by choosing MTD. Your new kitchen is just one click away, contact us today! We started out in the late 70′s as a ‘boutique’ paint company working with architects and interior designers. As we progressed, we started to do consulting with just color and then on to textiles, hard surfaces and fixtures. In the mid 90′s, our focus moved to the restoration business, mainly because we lived in Long Beach, CA. The area is famous for its effort at preserving classic homes, many of which required restoration on multiple levels. Over the years, we’ve evolved into an architectural design firm that encompasses just about any phase of home improvement, including remodeling and construction of new homes. 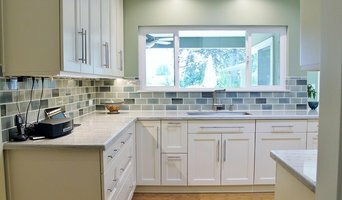 We specialize in custom crafted kitchens and bathrooms specific to the customer’s needs and wants. We treat every project as if it were our own home. In our line of work, the unexpected is the norm. By maintaining high professional standards, we have been fortunate to receive the best compliment a customer can give: their personal referral.